With the same great technology that has made our complete range of pocket sprung mattresses so popular, the Pocket 2000 Mattress offers twice the comfort as our standard Pocket 1000 Mattress, with double the amount of individually wrapped pocket springs. 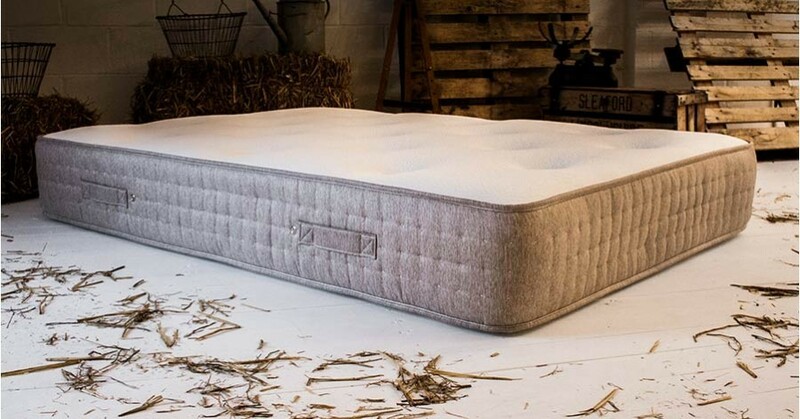 The inclusion of more pocket springs makes this mattress ideal for couples as the springs are smaller and therefore more evenly spread across the mattress. Why Choose A Pocket 2000 Mattress? Uniquely Designed 2000 Pocket Spring System - This pocket sprung mattress incorporates a pocket spring system which helps to distribute weight evenly across the surface of your bed, providing an unrivalled level of comfort and support during sleep. With twice the amount of pocket springs as our standard pocket sprung mattresses, smaller pocket springs allow for more focused support across the mattress, making it ideal for partners. 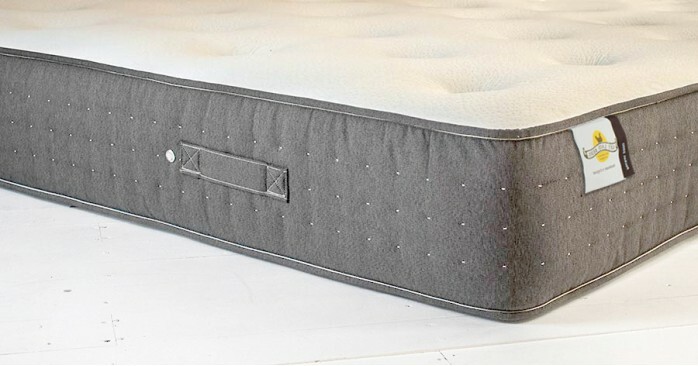 Hypo-Allergenic - Only the finest hypoallergenic polyester fillings are used to make this mattress, all of which are specially developed to help repel allergens by increasing air flow through the mattress. This makes the Pocket 2000 Mattress a popular choice for allergy sufferers who are looking for a comfortable, undisrupted night's sleep. This mattress is made to our standard mattress thickness of 30 cm, making it the accompaniment to most beds in our range. Formed using pocket sprung technology, the Pocket 2000 Mattress contours your body to provide extra support and comfort. The use of a pocket spring system offers a superior feel when compared to more basic open coil mattresses. Unlike with open coil mattresses, the individually placed springs help to reduce the transfer of movement, ensuring that sleeping partners are not disturbed. The technology provides pressure point relief for people who find they are more comfortable sleeping on their side. 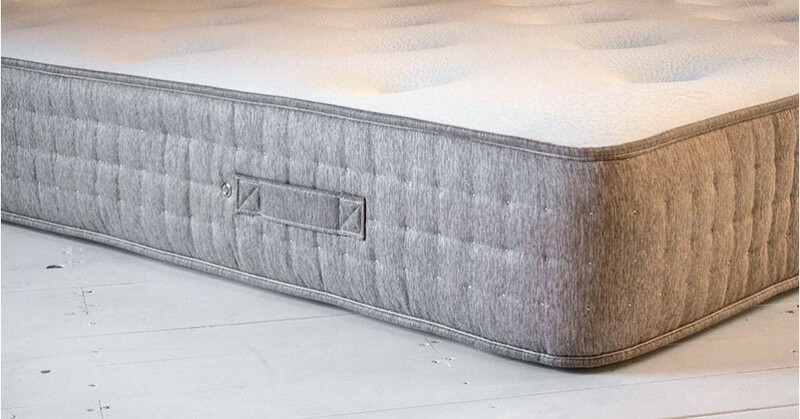 Hand tufted with a luxury ‘cool touch’ soft knit fabric cover, this mattress is designed with specific technology to improve air flow through the mattress to improve its longevity. 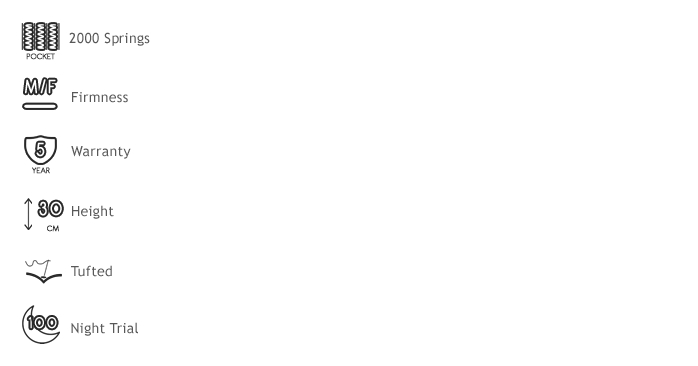 The Pocket 2000 mattress is rated as being of a medium to firm firmness, making it suitable for those who require the extra support of a firm mattress without the rigidity. 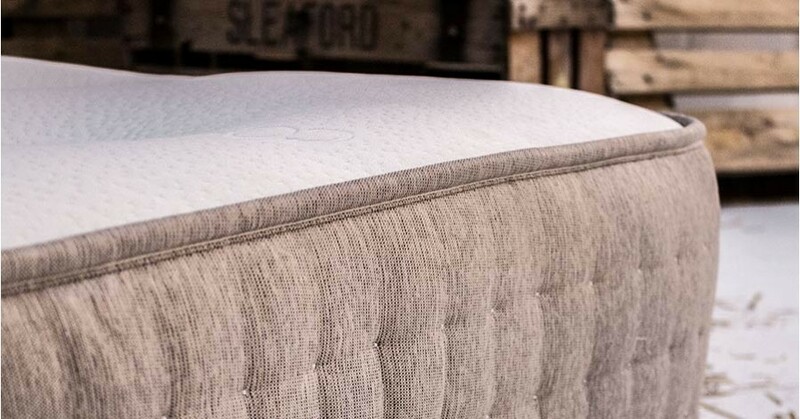 Extruding quality, the Pocket 2000 Mattress is far beyond your regular high street mattress, making this mattress the perfect accompaniment to any of our wooden beds. Working with our solid pine slats, the support of this mattress, combined with the style and durability of a Get Laid Bed's wooden bed will off you all the support you could wish for.